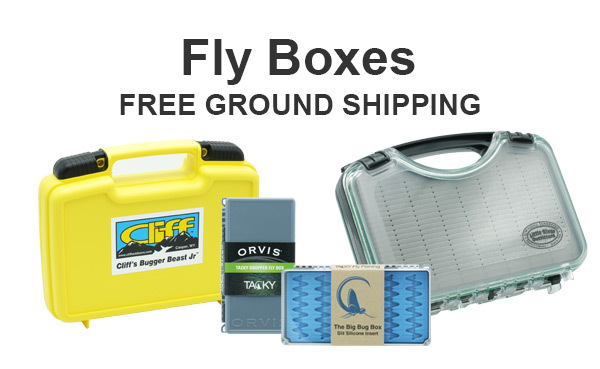 Some fly boxes are made specifically for streamers or large flies, such as poppers and foam top water flies. This is our offering. These fly boxes are made for that purpose. Some are very large boat boxes. Some are waterproof, which is perfect for boat, canoe, raft or kayak fishing. Others are small enough to fit in a vest or pack pocket. You may order here online, or call us at 865-448-9459 to order. Ground Shipping is Free either way.